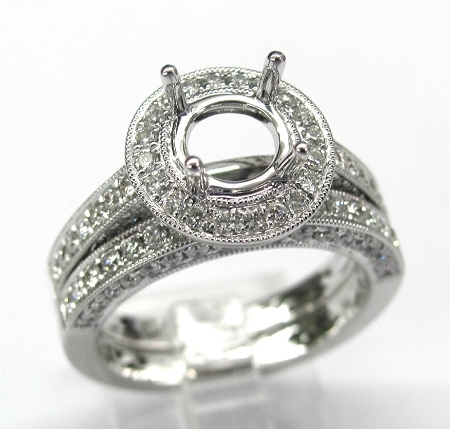 Ladies 14kt white gold semi set. 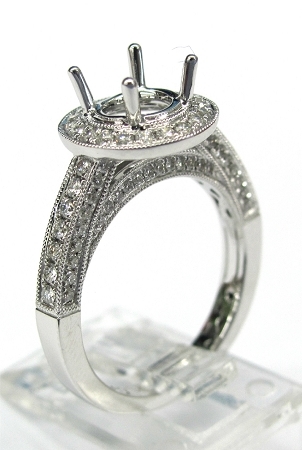 Semi mount is made to take 1.25ct round cut diamond in the center. 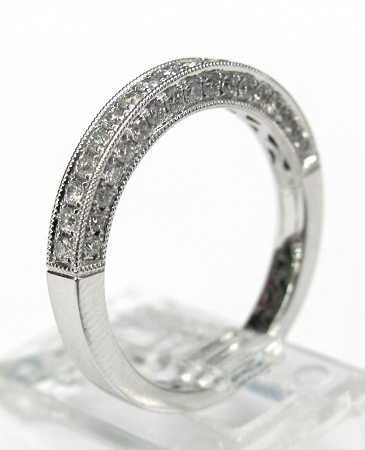 Mounted in semi mount are 94 brilliant round cut diamonds and mounted in wedding band are 52 brilliant round cut diamonds weighing 1.20ct total weight. Ring comes with insurance appraisal. Please specify ring size desired.